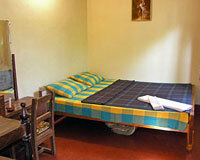 Hotel Pompei Valley is easily accessible from Madikeri. Hotel Pompei Valley, surrounded by lush green paddy fields, is one of the privileged Budget hotels in Coorg. The hotel is situated amidst an organic pepper, coffee and cardamom plantation. Hotel Pompei Valley, located at 6 hours drive from Bangalore, is set on the Talakaveri Road and 3 km. from Madikeri. This eco friendly abode houses a private lake and offers a stunning view of sunset. Pompei Valley offers well furnished Eco Friendly Cottages and Tents, which provides the best of comfort and warm hospitality. 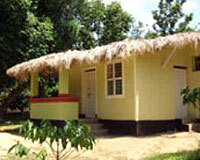 All the tents have excellent facilities amidst the serene and fascinating plantation areas of Coorg.